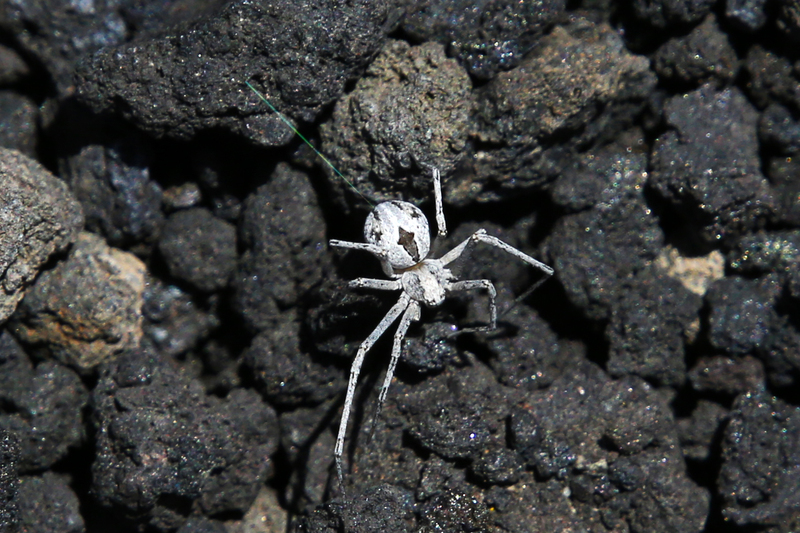 Tiny White Spider on Black Cinders, Identification uncertain – best guess is either a spiderling / hatchling in early spring of a giant crab spider or Carolina wolf spider. It was running over the cinders. Sunset Crater Volcano National Monument near Flagstaff, Arizona. Visited late April, 2018.